Chaaya sowed the seeds of BC Web Wise in 2000. Her work as a business journalist with magazines such as Businessworld and Business Today fuelled her belief in digital as a game changer for the modern Indian consumer as well as the most critical channel for the next level of business growth for Indian brands. But setting up and managing one of the few independently owned digital agencies in the country was no easy task. 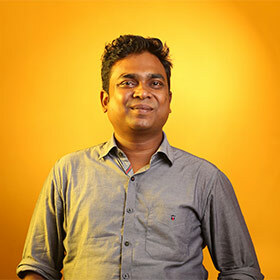 Keeping a watch on the constant transformation in a rapidly evolving digital industry, Chaaya has independently led BC Web Wise and established it as a leading agency with a reputed client portfolio and world class strategic brand solutions. 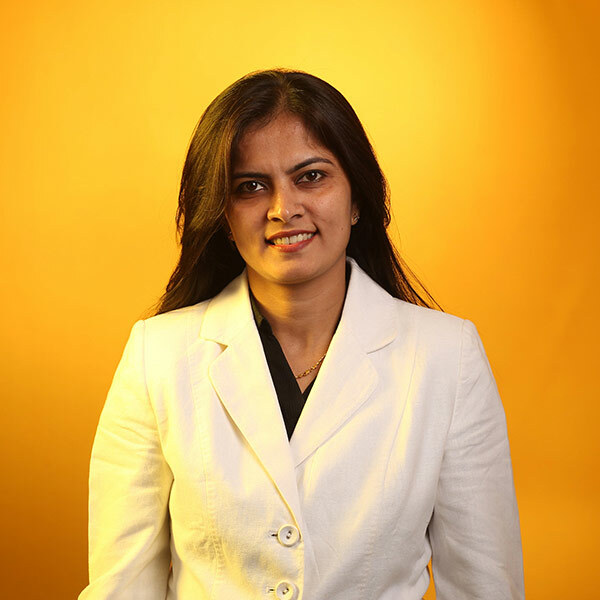 Under her leadership, BC Web Wise has collected many honours, including the award for Best Growth Strategy (2016) by the Ascent Foundation, and being named among India’s best digital agencies by ET Brand Equity for six years in a row. 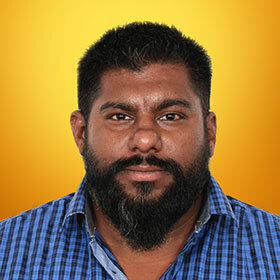 A devoted follower of the teachings of Swami Bhagawan Shree Paramahamsa Nithyananda, Chaaya has inculcated the values of self-belief in the team at BC Web Wise leading us to where we are today. Respected as a digital guru and celebrated as an entrepreneur, Chaaya has been a speaker at several digital marketing seminars, round-tables, and is an active participant at educational forums for young professionals in the digital space. 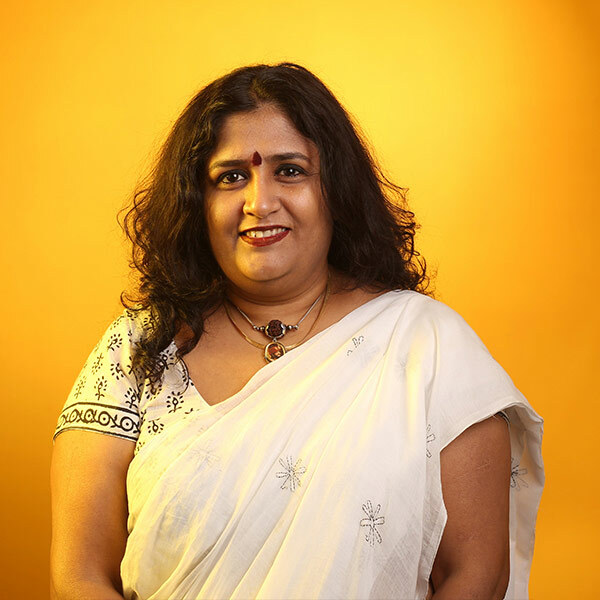 She has shared her expertise on esteemed juries in the advertising world, such as the New York Ad Fest and AAAI Goa Ad Fest on several occasions. Asha has a couple of things in common with the song 'Dil Hai Chhota Sa...' Just like the song is about dreaming big, Asha has been an integral part of our journey towards becoming a leading independent agency. And though not many know her penchant for 'doing shayari', she is quite full of melodious words and memorable one-liners. But beware, there is no 'bholi si Asha...'. A shrewd and seasoned finance professional, she has a lot of experience playing our in-house devil's advocate. If it is honest criticism you seek, she is your best hope. 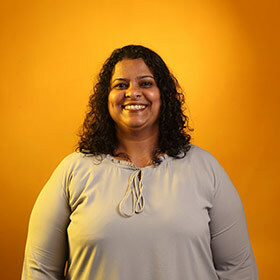 In an overly crowded digital ecosystem, she and her team keep us financially competitive and help our clients plan spends so that they can get the most out of their digital marketing budgets. 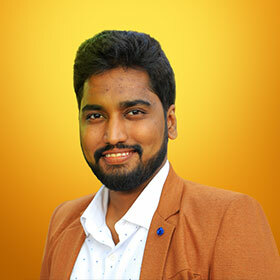 Siddharth has singled handedly set up our ORM department and built the team therein. He is spearheading our plans for growth from this business, even as he focuses on bringing high-net worth clients for BC Web Wise. He is responsible for signing up one of the agency’s biggest clients. Amit believes in the simple philosophy, “if you can’t understand it or explain it, don’t do it”. He is a digital marketing professional who has acquired various skills through the practicalities of life. He is gradually and steadily working towards making a mark in the digital world. 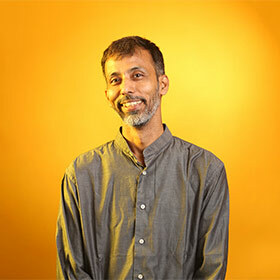 Amit is an efficient media strategist as well as a creative individual who believes in investing in experiences. He is one of the few Indians whose heart beats for both, cricket and football. 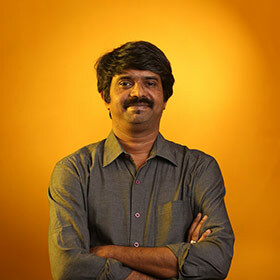 Vijay is a media enthusiast, digital being his field of choice. He is bent towards learning more about the World Wide Web and its evolution. 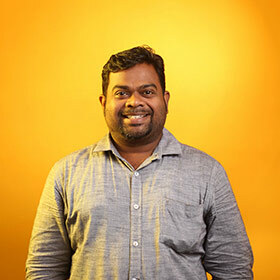 With a vast hands-on experience on digital, Vijay constantly strives to drive his work on the wheels of value and efficiency in planning, buying and strategizing. Apart from dedicating his time to digital media, Vijay loves to ride his bike, watch movies, swim and chill with his friends. Bighnesh is a vintage single malt lager in a new bottle which takes you to crazy heights and gives you a solid kick. He believes in fermenting his research for best results that give in-depth analysis for transformative solutions. “Just like every dish needs the right sprinkle of salt for that perfect taste, every promotion needs the right media mix”, is what Biggy lives by. 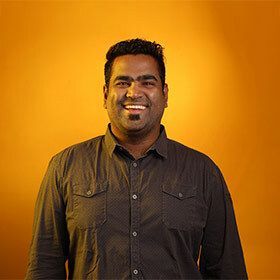 Prasad’s team is one of the most profitable SBU within BC Web Wise, thanks to keeping a consistent eye on head count and outsourcing work when needed, and working closely with the Finance head, even while ensuring client deliverables and business growth from SEO being delivered. 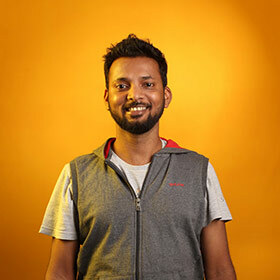 Mangesh is one of the agency's best designers and one of our key award go-getters. He co-heads our team of designers, as well as the development team. Mangesh was passionate about art from an early age. After graduating in Commerce, he started his career in the print medium. 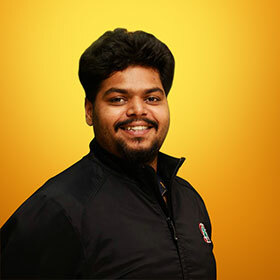 He is known for his passion for designing, guiding and mentoring his team members and being a source of warmth and empathy to those that need it. Rahul has industry experience of 14 years and has been associated with BCWW for 12 of those years. An ardent cricket fan, he is also passionate about motion graphics and VFX. 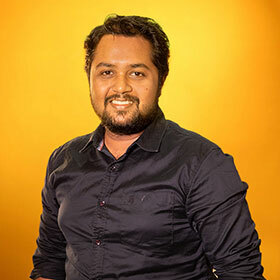 He loves to present animation in innovative and creative ways.Rahul was an integral part of the team that was responsible for the Sunsilk 'Gang of Girls' campaign. Some of the brands he has worked on, since he became Team Head include ASUS, Fevikwik and Hero MotoCorp. Rahul is a major asset for BCWW with his ability to burn the mid-night oil while keeping his team motivated. Not only is the Animation department the one that brings in the maximum awards, they are team that has motivated BCWW to get into Video Production. BC Web Wise has a full-fledged Video Production department set up in early 2016 and has done several high-quality and innovative web-films. Manoj is passionate about technology and his curiosity about this field is what drives him to learn all he can about the latest developments.Manoj is a seasoned information systems' professional with over 17 years of experience with an exceptionally strong background in web and mobile based application development, IT strategy and enterprise architecture processes, service management, and telecommunication technologies.In his previous organization he initiated and built up his own mobile team.A go-getter at heart and a natural team leader, he ensures that his team work tirelessly towards providing useful end-to-end solutions. His belief is that one need just share the blueprint with him and his team will create it. After completing his studies in Foundation Art from ITI Mumbai, Shailendra chose to pursue his interests in sculpture and portrait painting, among other things. He had a keen passion for Programming since college. 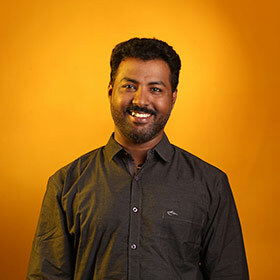 Being well versed with various technologies like Adobe Flash, 3D Max, Cocos2d, Augmented Reality, Away3D, ThreeJS, NodeJS, Android and IOS apps and games, he has been able to create interesting and engaging products over the years.In his 11 years with BC Web Wise, he has worked with - Hypercity, Sunsilk, Hero MotoCorp and Camlin just to name a few.Shailendra has bagged a few awards which include the FWA Site of the Day for Allen Solly and Abby Gold for Sunsilk. The Camlin Experience App has been one of the best products we've developed which was extremely well received bringing in multiple awards to boot. His team is constantly looking for the latest trends in technology and adapting them to create some of the best digital innovations in the industry. Beware! Ravish is a real life avatar of The Juggernaut. Be it a technical debate or a creative argument, once Ravish gathers motion, he is impossible to stop. His aggression is second only to his commitment to BC Web Wise, and the desire to create a positive impact in the world through his work. Armed with immense experience as a web developer, he is the techie behind our projects for brands hailing from a diverse set of industries. An extremely methodical professional, Ravish’s other superpower is that he never gets tired. He’s an ace trouble shooter and problem solver who is behind the digitalization of our resource, operations, and project management infrastructure. 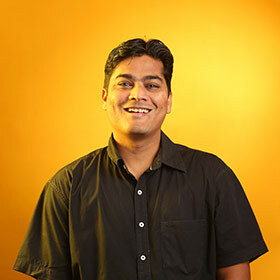 A design thinker at heart, Ravish also lends his creativity to puppet shows and craft activities for kids at NGOs. Rakesh is at the pinnacle of what is a commonly observed ability of IT admins. Whether its system lag issues, difficulties signing in to the wi-fi, weak internet signal - just about anything resolves itself as soon as he touches a computer. A seasoned creative leader, telling and selling stories comes naturally to Anthony. His work is dominated by natively crafted ideas that have led to some of our most famous work. 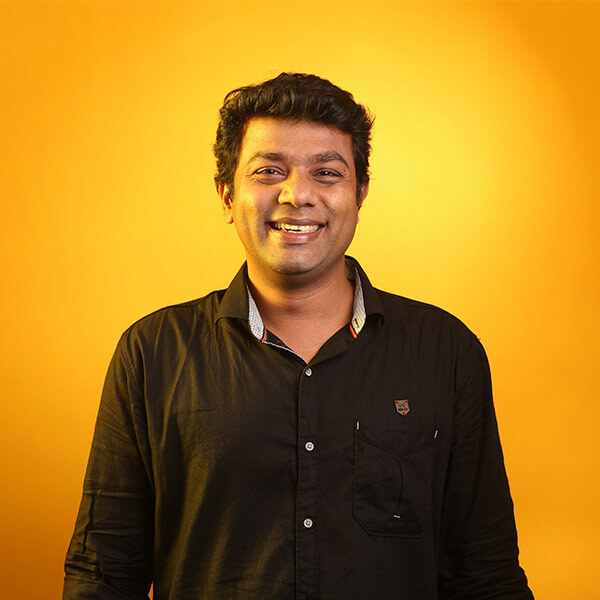 Outside of the agency, Anthony loves cars, gadgets, vacationing in the backwaters of Kerala, and familiarizing us with random female debutants from South Indian films. This new fish in the pond comes with a rich 12 year experience in the digital industry. 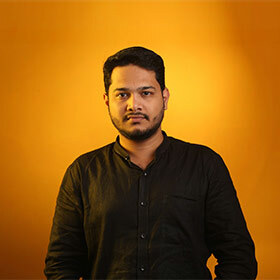 While Saurabh aspires to be a filmmaker, he currently loves conceptualizing and ideating concepts for advertising and promotional materials, across media. Ajay's watchful eye never wanders from his insights dashboard. He leads an energetic team of reputation management executives at BC Web Wise and has built a successful practice comprising of social media analytics, ORM, and CRM. A foodie and a football champ, he also loves to spend the weekends with his turntable and enchanting crowds at local gigs with his DJing skills. You won't miss Monica's laughter no matter which corner of BC Web Wise you're in. Monica is the go-to person when you need a shoulder to cry on or have any inter-personal issues with the company or otherwise. She is an incredible asset to the Founder. Keeping a pulse of her team members' sentiments, key employees and ensuring that the information reaches the right ears, Monica does it all in a unique and streamlined fashion which is why we have some of the best digital talent in the country. Hiring and retaining employees are a cake walk for her. 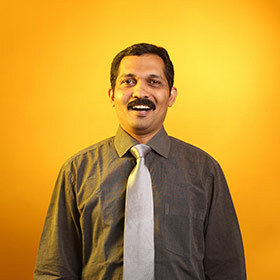 Pramod is our tall, dark and handsome task master. He has a very particular set of skills that he has acquired over a very long career, having donned many hats from training & development, to client servicing and project management. Skills he uses to stay calm and calm others down. Whatever time is left from that, he spends in estimating efforts for projects, checking costs, setting project timelines, reviewing project execution, and braving through various modes of public transport to reach office on time and home sane and sound. A Gujarati Thali of talents, Pramod plays the keyboard, also badminton, and does terrifically entertaining Dandiya Raas moves.